Are there therapy groups for people who are addicted to their iPhones? Sign me up! I love the apps and all the iPhone gadgets yet oddly never considered myself a tech-obsessed person before owning my iPhone. If you don’t have an iPhone and are tired of people banging on about them (I know, it happens) stop reading now. If you do have one and also have oodles of brilliant children’s artwork or treasured photos of your kids, then you’re going to love this. Uncommon creates customised iPhone (and iPod) cases from your own photos or artwork (plus they have a huge range of pre-made designer cases as shown above). You may have missed the boat for Mother’s Day, but plan ahead for Father’s Day with a one-of-a-kind gift. The process is very simple – upload your photo or scanned artwork and then wait patiently for the finished product. The hard part will be choosing what photo or ‘masterpiece’ to use. 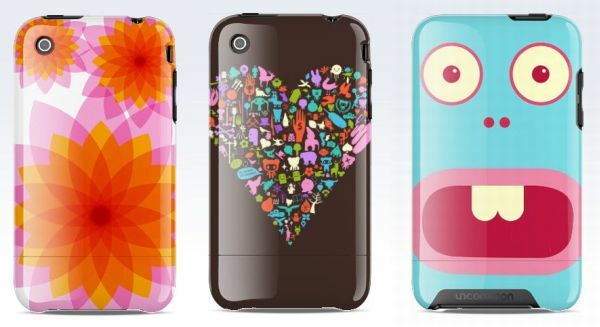 Uncommon iPhone cases are US$39.95 and can be shipped to Australia.